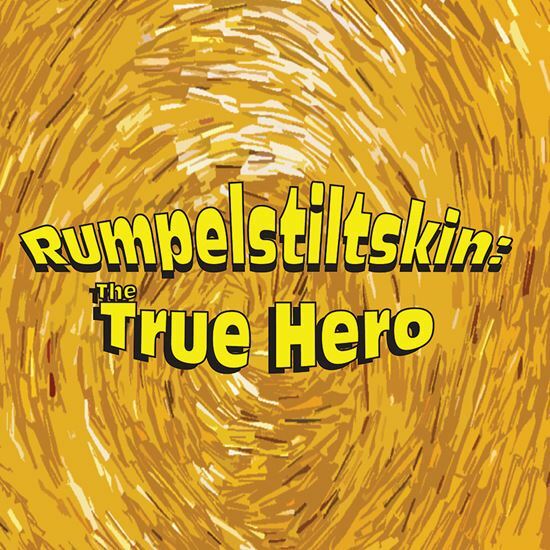 At last, Rumpelstiltskin gets to be the hero! Based on the original Grimm fairy tale, this traditionally misunderstood character earns a well-deserved happy ending, winning the hand of Freya, the beautiful miller’s daughter. Both comic and suspenseful, and using elements of other fairy tales and classical myths, this adaptation involves King Grood, the (not very) Good; his vain son Prince Werther; and an unscrupulous chancellor. Rumpelstiltskin, a handicapped young man, is actually Prince Werther’s twin, whom the soft-hearted miller could not bring himself to kill on the chancellor’s order years earlier. Due to the kingdom’s approaching bankruptcy, the miller makes a dangerous attempt to have Freya selected as Werther’s princess, resulting in the well-known “spinning straw into gold” test. But with lots of fun twists Freya and Rumpelstiltskin are united at the end! This play was originally produced in 2013 by Moonlit Wings Productions, Falls Church, VA.
A: For some ten years we’ve been commissioned to write half-hour radio dramas for All Ears Theatre, a series recorded before audiences in Kalamazoo, Michigan, for later broadcast on the city’s NPR-affiliate. In the past several years we’ve been asked to adapt fairy-tales for the program, and they’ve been very well-received. One of our adaptations was “Rumpelstiltskin,” and we decided that it would also make an entertaining piece for the stage. A: We had lots of fun creating our own comic version of a Greek chorus, the peasants, courtiers, and marriageable princesses of the imaginary kingdom. Not only does this give voice to the play’s “community,” but it also allows theatres and schools to give opportunities and stage training to more performers. A: The original versions of fairy tales—particularly those by the Brothers Grimm—are quite short, sometimes no more than two or three pages of prose. On the one hand, that poses a challenge in writing a substantial adaptation, but on the other it gives writers great freedom to add things, to invent, and to re-imagine—and those are “difficulties” writers love. A: Our first goal, always, is to entertain. If the audience doesn’t care, nothing else matters. And with this play we saw an opportunity to create a hero who might encourage people to reconsider their assumptions about others. We also saw a chance to create a heroine with common sense and empathy, not merely a prize to be won. A: We hope audiences and readers will be charmed by the idea that in at least one part of the parallel universe of fairy-tale land, there’s a Rumpelstiltskin who isn’t just an evil dwarf.